One of my favorite things about the fall season are the great boots available. Kick yourself into high gear with a great pair of boots to start the season. This year everything from over-the-knee to ankle booties are all on trend. It's about sticking with what works for you and your lifestyle. Chunky ankle boots are a hit this year. Top left to right: Rocket Dog, Forever 21, PacSun. Middle row left to right: DSW, ASOS, ModCloth. Bottom left to right: ASOS, Rocket Dog, Wet Seal. 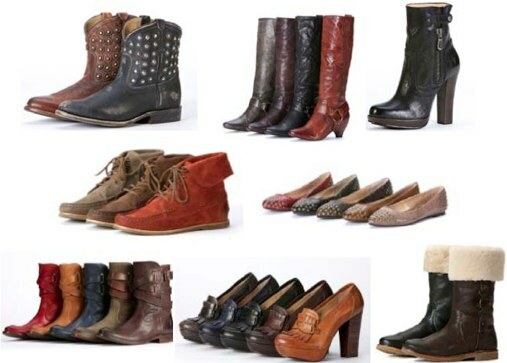 These booties are great style for reasonable prices for those who are budget conscious. You don't have to spend a lot to look good. How you wear ankle boots can be tricky. They are a style that can look tacky depending on how you style them. Be aware of your leg length and your hemline when you decide to wear ankle boots. If you've got great legs wearing ankle boots with a mini can work great. They also look cool with a pair of skinny trousers or jeans. If you have thicker ankles try to pair them with tights that are the same color as the boot so it creates a uniform longer, lean line and doesn't make your legs look like two stubs. They always look great with a nice fitting pair of jeans too. Have fun and try all the latest trends for the season.